We are very excited to have preeminent Punch Sister, Aoife O'Donovan, back out on the road with us for the March tour. She'll be performing solo to open up the shows and we wouldn't rule out seeing her pop up during the Punch Brothers set as well. If you've yet to pick up Fossils, her first solo release from earlier this year, we would highly recommend it. We've also worked out the support for the New Year's Eve run at Bowery Ballroom in NYC: Willie Watson will open the 12/29 show, The EarRegulars feat. Tamar Korn are on the 30th, and Sarah Jarosz rounds it out on the 31st. Tickets are currently sold out, but we plan to do a small ticket release before Christmas, so watch Twitter for an announcement. In addition to his upcoming Noam & Friends shows with Sutton, Bulla, Bales, and Cobb (here's a video of that line-up live), Noam has a duo date with Matt Munisteri at the Jalopy Theatre in Brooklyn next Friday night - the 20th. Thile has added Melbourne to his visit to Australia in January and threw in a Phoenix stop to the Southwest US leg in February. Critter & Julian Lage have a new batch of Northeast dates in April (with more to be announced in the next month) and will head out to Lyons, CO in late July, along with Noam & Friends, for RockyGrass. Paul and his trio with Brittany Haas and Jordan Tice will be hitting a few of the same cities as Critter (Cambridge and Portsmouth) in late February. There's currently a Holiday Sale in the Punch Brothers Bazaar with select tees and posters up to 40% off! The sale continues until we run out of stock, and while posters are one-size-fits-all, shirts are not so don't wait around too long (there's also the matter of holiday shipping deadlines). 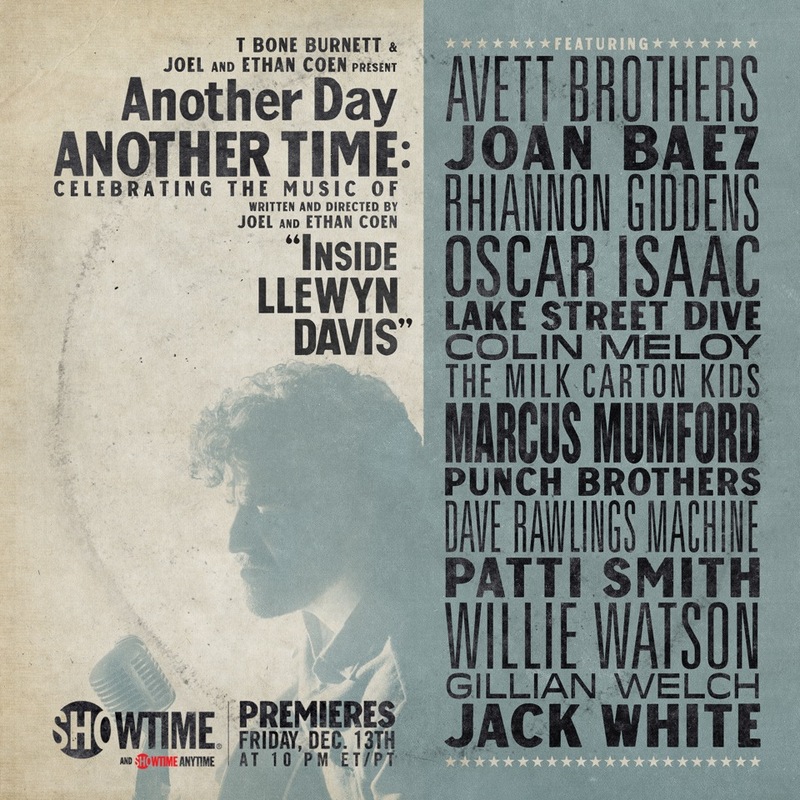 Be sure to set your DVRs (or tune in) to Showtime this Friday night, December 13th, at 10pm for the premiere of Another Day / Another Time: Celebrating the Music of "Inside Llewyn Davis," which features all the great artists listed below, many of whom performed with PB accompaniment. Seriously, Punch Brothers are all over this, so don't miss it. The concert, inspired by the Coen Brothers' film, was recorded at Town Hall in NYC in September. Here's a trailer and don't forget about the film's soundtrack if you haven't given it a listen.